Kevin Durand in talks to play villain on DC Comics' Swamp Thing – AiPT! DC’s horror series may have just landed its bad guy. 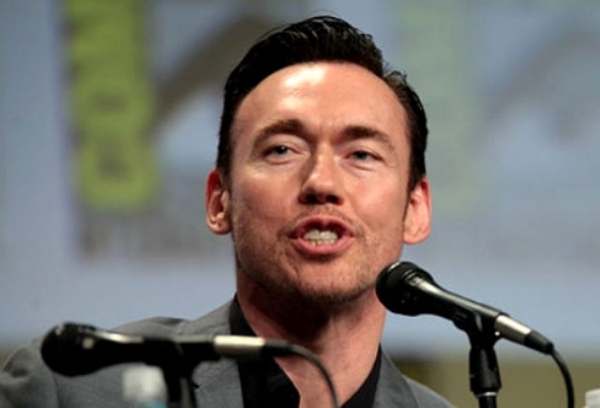 According to a report out of That Hashtag Show, Kevin Durand is reportedly in talks to play the villain Jason Woodrue, aka The Floronic Man, on DC Universe’s upcoming live-action Swamp Thing series. The Floronic man was first introduced in 1962 as an exile from an inter-dimensional world inhabited by dryads. He originally referred to himself as Plant-Master, and used his advanced knowledge of plants in an attempt to take over the world. Ultimately he his attempt failed and he was defeated by the Atom. Later during an encounter with Swamp Thing, he was driven insane, and as a result attempted to destroy all non-plant life on Earth. Durand is known for a variety of film and television roles, having most recently played Vasiliy Fet on the horror series The Strain. He’s perhaps best known for his roles as villains: Martin Keamy in Lost, Gabriel in Legion, and Jeeves Tremor in Smokin’ Aces. Swamp Thing won’t be Durand’s first role within the super hero genre, he previously played Fred J. Dukes / The Blob in X-Men Origins: Wolverine. Alec Holland will be portrayed by Andy Bean, with Derek Mears (Friday the 13th) playing Swamp Thing in a physical costume, rather than CGI. Jennifer Beals joined the cast in late September in the role of Sheriff Lucilia Cable. Len Wiseman (Sleepy Hollow) will be directing the pilot episode, as well as executive producing. Gary Dauberman (It) and Mark Verheiden (Netflix’s Daredevil) are the series showrunners and will be co-writing the series. Swamp Thing is a humanoid elemental plant hybrid creature that was created by writer Len Wein and artist Bernie Wrightson. Living in a swamp, Swamp Thing protects the environment from humanity’s encroachment and battles a host of supernatural foes. Swamp Thing will be a live-action horror series and its pilot episode estimated to premiere in May 2019.